Natural Skincare product shelf life - Part 2 - Nutrients! Did you know that the nutrients present in any skincare product have a shelf life? You won't be getting much benefit from a 2 or 3 year old product since most of the nutrients and actives have long since degraded and lost their maximum efficacy. Some can even even become completely different compounds over time - yikes! Which means if you are still using such old items you may not even know what you are putting on yourself anymore. It is relatively common knowledge these days that Vitamin C is very valuable as an antioxidant and anti-aging active. It can lighten skin and helps synthesize collagen. But did you know that raw Vitamin C in its regular form as Ascorbic Acid is highly unstable in liquid formulas? By liquid I mean anything with water content as well, so even creams and liquid soaps qualify. There is a 50% loss in quantity of Vitamin C after just 4 hours in solution! This means that if a skincare formula is using Ascorbic Acid as an ingredient you should think and shop carefully. It is possible to buffer the solution so that the vitamin loss is slowed, but generally after about 6 months most products with Vitamin C have lost their efficacy completely. If you see a yellowish or brownish color in the product don't even bother putting it on - color change is a sign of the vitamin's decay. Ester based and oil soluble versions of vitamin C like Magnesium Ascorbyl Phosphate and Ascorbyl Palmitate offer vitamin C in a more stable form. This makes them good for products like creams and serums where some water will be a part of the recipe. Some natural skincare products may use anhydrous (waterless) formulations to deliver you ascorbic acid that is only activated once you are using the product. This is one good way around this tricky formulation issue. 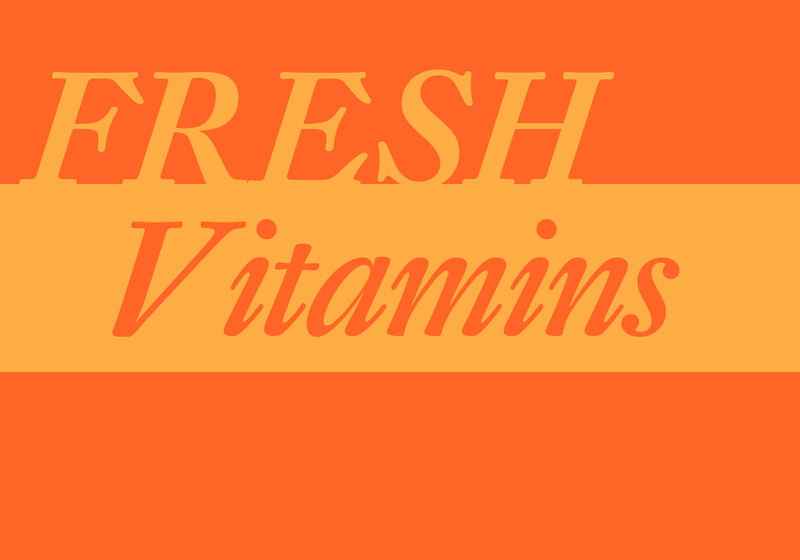 Natural source vitamin C may come from sources like Camu Camu, Acerola Cherry, Amla Berry, and Rosehips. Even with natural source vitamin C you should still stay aware that it will degrade in water based products. If you want to get the benefit of this nutrient with no stability concerns consider making a strong tea (infusion) with any of these fruits and then apply to your face as a compress or splash. 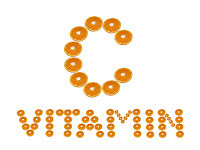 C is just one of the vitamins your skin needs and each has to be considered according to its own shelf life. Other ingredients like oils also must be as fresh as possible to truly benefit your skin. Antioxidants age and degrade over time as well. Their very nature is that they are active enough to neutralize free radicals. As a product ages free radicals develop due to ingredient decay. Some of the activity of the antioxidants gets used up as a part of this process. That means they are less potent for your skin as the product ages. Vitamin E is one ingredient that notably is added partly for antioxidant and healing skin benefit and partly to help keep other oils fresher. Its value to your skin drops significantly as it works to keep the base oils stable over time. Most natural plant oils like sunflower oil and pumpkin oil have very definite shelf lives. The reason they don't last forever is a process called oxidation. When the oil is stored in a bottle the surface of the oil is exposed to air. The Oxygen in the air reacts gradually with the oil, causing it to go rancid. A rancid oil smells sharp and can actually be detrimental to your health. The rancidity is actually a sign that the oil is no longer the same type of compound that it first was. It becomes stickier and more resinous when it dries. Many skincar e manufacturers deal with this problem by using only extremely stable oils like coconut and jojoba in their products, or worse - petrochemical oils that have no set shelf life. But so many of the oils that offer the best nutrients and essential fatty acids are the ones that are the least stable. Rosehip, evening primrose, and hemp are all oils that are heat sensitive and have a short shelf life of between 6 to 12 months. These are also some of the most nutrient-packed oils available. To use these more finicky oils the formulator has to consider their sensitivities in the making of the product AND in the total recipe. Including antioxidants like Vitamin E and Rosemary Oleoresin Extract helps considerably, as does combining them synergistically with the more stable oils. But you still want to use your products promptly, as even a deft blend will only last a maximum of a year and a half. After that, kiss those essential fatty acids goodbye - they are no longer present in a form you want. Skincare formulation, when done with a real consideration of total health benefit, is no easy feat. That is why it is such a good thing to have someone you trust behind the line you choose to use. The issue of shelf life is also a bright and shiny reason to consider shopping *small* and shopping through independent companies for your products. The items for sale on the shelves of big box retailers are first produced, then are warehoused at a distributor, and then finally make their way to the shelves where they may sit for numerous more months. Even if the skincare was good to start with by the time it reaches you a chunk of time later it is already aged significantly. This is a big reason why large lines often don't choose to use nutritious, but short shelf life oils - by the time their product reaches market the oils would already be partly degraded. When you shop direct or through small retailers you are more assured your products are fresh from the manufacturer. Because small producers craft in small batches more frequently new items are constantly being made. You, the customer, receive the items perhaps only weeks after production and use it promptly. The results are much better overall for you and the producing companies get more freedom to use creative and effective ingredients that simply don't fit in the big box model. Another factor is to purchase only what you really need when you need it. Don't buy 6 products when you can only use 2 in the next month. Buy what you can consume in a timely fashion, use it, and then make your next purchase. Skincare is not something to stockpile. Buy quality products and avoid getting sucked in by big buy deals if they aren't well suited to your real needs. Even a miracle product is useless if you are using it too late when it has broken down. If you treat your skincare more like fresh food you'll find your overall results will be better and your cabinets less cluttered with confusing excess. Find items you truly love, purchase reasonable amounts, use them, and throw away anything that is more than 2 years old. It can be hard to edit but it is truly worthwhile. Fresh skincare will earn you fresh skin, it's as simple as that.